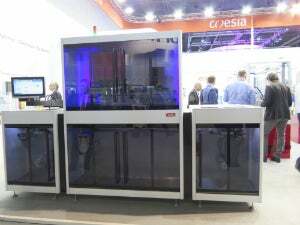 Innovative Swiss-based print specialist Hapa has hailed the world premiere of its revolutionary Hapa 862 at the ACHEMA 2015 expo in Frankfurt as ‘a brilliant success’. The star in a show of Hapa in-house printing solutions, the modular foil and label inkjet printing system exemplified Swiss quality, and took its rightful place alongside industry-leaders renowned for reliability, flexibility, and return on investment. Hapa sales director of healthcare James MacKenzie said: "The development of the Hapa 862 is a response to growing complexities in pharmaceutical packaging printing. Our customers face not only challenging regulations, such as item-level serialisation, but the demands of multiplying markets and shrinking batch production. "They require an ability to evolve, quickly and painlessly. The appeal of a modular system that meets existing drives and can evolve to meet emerging challenges cost-effectively is immediately apparent. "The Hapa 862 promises high-performance and ease-of-use. Combined with its scalable design, this amounts to an unparalleled flexibility and return on investment. Hapa again delivers a solution to match the Zeitgeist in pharmaceutical packaging. Hapa senior manager of engineering Jean-Luc Devenoge led the development and the presentation of the new system. "The Hapa 862 performed beyond expectations at ACHEMA," he said. "What especially impressed visitors was its ease of operability, thanks to our newly developed HMI, and how smoothly and quietly it operated." At the heart of the system lay the newly developed redcube plus, the printing module that performs from single to four spot colours or CMYK at the touch of a button. The Hapa 862 demonstration was also a chance to see Hapa’s award-winning multi-touch HMI in action. Designed for integration into complex lines, the HMI contents can be adjusted to suit user role, workstation purpose, or machine configuration. Order, recipe and template management is integrated, and it’s as easy-to-use as a smartphone. Visitors were shown how a few touches to the screen of the HMI switched the Hapa 862 from printing two colours to printing full presentations in CYMK in less than a minute. Hapa’s original and highly popular compact redcube UV DOD printing module printed visitors’ personal data, including QR codes, directly onto metal business card holders. This demonstration was so popular at ACHEMA, stocks of cardholders were barely adequate to keep up with visitor demand. Also on the booth, Hapa demonstrated its blow fill seal (BFS) printing solution combined with a FlexLink conveyor belt, an integrated UV DOD redcube printed variable data directly onto the surface of plastic unit-dose containers. A Laetus vision system checked the printed containers. The best-selling Hapa Hybrid, which combines UV Flexo and UV DOD printing technology into one agile system, demonstrated two-colour printing on aluminum foil; a demonstration that always impresses visitors and once again created high interest at ACHEMA 2015. Representatives of aftermarket and Hapa Ink were present at ACHEMA to answer questions about their products and services. "Hapa Ink’s participation at exhibitions is always appreciated by our customers," said James MacKenzie. "And their willingness to lend a hand to the Hapa sales team was an extra bonus at ACHEMA 2015."